Do you suspect that your aging parent or loved one has been injured as a result of abuse or neglect in the nursing home setting? Angotti & Straface Attorneys at Law L.C. in Morgantown, WV, cares about the safety and well being of our senior residents. Since 1952, we have been trusted to provide a range of personal injury legal services to residents throughout all of West Virginia. 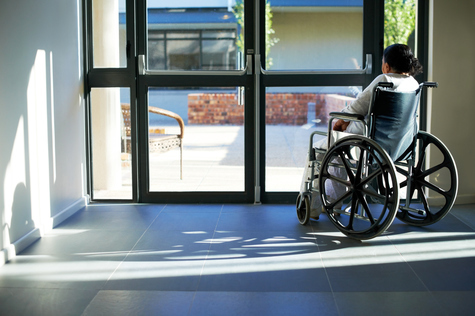 Our nursing home abuse and neglect legal team will fully investigate your nursing home abuse case to determine the extent of the physical and emotional toll that has been inflicted on your defenseless loved one. We pursue those who abuse and neglect our elderly and disabled community members with a fervor because we believe that one case of abuse on the innocent is one too many. There are many wonderful nursing homes. Unfortunately, due to the extreme increase in the aging population across West Virginia, most nursing homes are woefully understaffed and/or staffed with poorly trained or abusive employees who are unable to provide the care that your loved one requires during this sensitive time. If you suspect that your loved one is being abused or was killed as a result of nursing home abuse or neglect, contact Angotti & Straface Attorneys at Law immediately at: (304) 292-4381. We must gather evidence and complete our investigation before at-fault individuals have an opportunity to conceal evidence. Attorneys Angotti & Straface offer a free initial consultation for residents living in Charleston, Huntington, Parkersburg, Morgantown, Wheeling, and throughout West Virginia. No attorney fees are payable unless we collect for you. Our law firm will fiercely pursue all individuals and entities responsible for abusing your loved one. We will help you secure justice and financial compensation. Suspected elder abuse should be reported to West Virginia’s statewide 24-hour elder abuse hotline at: (800) 352-6513.